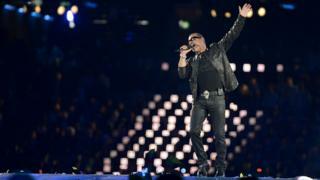 George Michael is on course to top the UK album chart this Friday, 10 months after his death. Listen Without Prejudice Vol 1 spent a week at number one when it was originally released in 1990. It has now been reissued with a bonus disc including the singer's 1996 MTV Unplugged session. It leads this week's album chart race, outselling Niall Horan's solo debut by almost 25,000 copies after three days, the Official Charts Company said. The Listen Without Prejudice re-release coincides with the airing of a documentary about the ex-Wham! singer's career, which he had been working on before his death on Christmas Day last year. George Michael: Freedom was shown on Channel 4 last week and focused on the period leading up to and following the original release of Listen Without Prejudice Vol 1. The album, which includes hits like Freedom '90 and Praying For Time, is currently ahead of Niall Horan's debut album Flicker. The One Direction singer announced his album release with a note about how "proud" he was of the record. The 24-year-old told fans on Twitter he was "really nervous", particularly because he had written some of the songs as long as 18 months ago. Last week's number one, Beautiful Trauma by Pink, is currently ranked third. Video Niall Horan performs his single Slow Hands, live on The One Show.